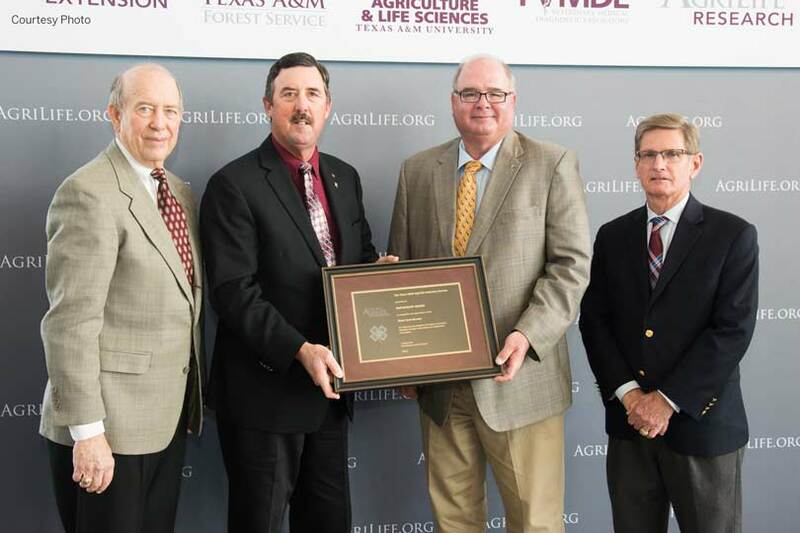 The relationship between Texas Farm Bureau (TFB) and the Texas A&M AgriLife Extension Service was recognized last month. TFB was one of five organizations that received a Partnership Award from the Texas A&M AgriLife Extension Service. The award recognizes organizations, individuals, agencies and others outside the Texas A&M University System whose dedicated support have significantly enhanced the impact of Extension programming. TFB provides support for Agri-Life Extension programs on the state and local level, as well as all areas of agriculture, 4-H and youth development, consumer and risk management education and pesticide impact studies. Boening noted TFB volunteer leaders are an integral role in the partnership between the organizations. TFB also works closely with Extension to increase agricultural literacy and awareness in classrooms across the state. TFB and AgriLife Extension have partnered on numerous occasions, resulting in positive impacts for agriculture. Other organizations receiving the Partnership Award include the Houston Livestock Show & Rodeo, San Antonio Stock Show & Rodeo, Ducks Unlimited and the Texas Division of Emergency Management.